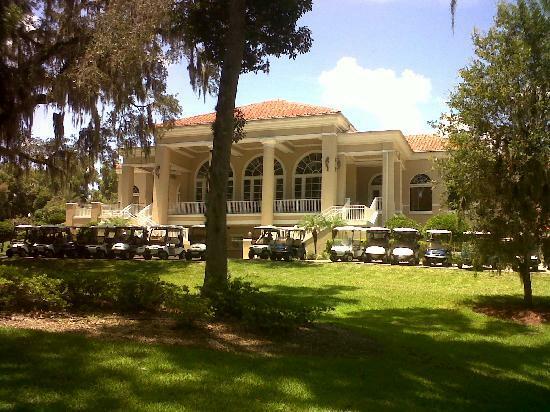 Visit Lake Jovita Golf and Country Club for an Ultimate Golf Getaway package. 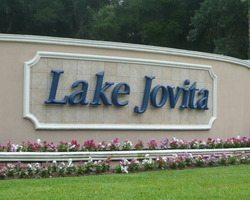 Lake Jovita is just 35 minutes north of Tampa International Airport off I-75 52 and features 36 holes of championship golf. You'll enjoy staying in one of our luxurious 3-bedroom, 2-bath, completely furnished Club Villas overlooking the Lake Jovita Club golf courses. Each villa provides over 1700 square feet of space so golf groups can relax in comfort in oversize living area, or screened patio. Guests have access to the Club facilities including Olympic size swimming pool, state-of-the-art Fitness Center, tennis courts and Clubhouse dining. Whether you decide to play in Tampa area only, or top courses of the Florida Nature Coast Golf Trail just north of Tampa, Lake Jovita Club Villas offers your home away from home!